Three months to the day after being dispatched under a charter to investigate the circumstances surrounding a steam generator tube leak at the San Onofre Nuclear Generating Station, an NRC Augmented Inspection Team issued their findings in a report just under 100 pages long. Most of their findings had been previously reported by the news media following a June 18 public meeting in San Juan Capistrano. The team found that faulty computer modeling that inadequately predicted conditions in steam generators at the plant and manufacturing issues contributed to excessive wear of the components. But the team also addressed an issue that had been the focus of much public attention – whether Southern California Edison provided the NRC all the information required about the proposed design changes to the steam generators before replacing them. The team reported that the licensee had done this. The team also identified 10 issues requiring follow-up by the NRC. And another inspection will be conducted to assess the licensee’s regulatory compliance and identify potential violations of NRC requirements. What lies ahead?We are now looking at dates and a location for another public meeting to be held in the vicinity of the plant. We will schedule this meeting in the near future to receive and respond to public comments and questions on the now-finalized AIT report and other issues of public concern. The plant will not be permitted to restart until the licensee has developed a plan to prevent further steam generator tube degradation and the NRC independently verifies that it can be operated safely. When will the NRC stop being disrespected by those that are supposed to listen to them! NRC need more power to regulate and IMPOSE fines! I beg to differ. There have been over 99 accidents, civilian and military, serious accidents. The human factor means that nuclear can never be divorced from that wildcard. Read this Huffpost article on nuclear inability to react to reality. Nuclear power only makes sense if the plants are well maintained, effectively managed, produce safe and affordable power and workers are treated with respect. if any of the above criteria is not met, the plant should be decommissioned and replaced with fossil and small solar/gas fired plants. Westinghouse calculates a void fraction of 99.6% in both Units, but claims, no fluid elastic instability occurred in Unit 2. DAB Safety Team agrees with Westinghouse based on review of plant operational data that no fluid elastic instability occurred in Unit 2. NRC and SCE both claim that Operational Conditions were same in both units, but fluid elastic instability occurred in Unit 3 due to high steam flows, velocities (MHI Computer model under-predicted TH conditions) and manufacturing defects, which created insufficient contact forces between tube-to-AVB Gaps. However, based on a review of AREVA and Westinghouse OAs, DAB Safety Team has concluded that fluid elastic instability and MHI Flowering Effect, and may be manufacturing defects contributed to bigger gaps in Unit 3, but the gaps were redistributed. Therefore, NRC Headquarter Qualified Steam Generator and Thermal-Hydraulic Experts needs to determine the real Root Cause of SONGS SG Degradation. NRC Region IV should not even be holding any discussions with SCE for Restart Of Unit 2, because Southern Californians do not trust their technical ability to make public safety decisions. CaptD – great links , are you on FB ? Here’s a link to just the map. Note the map is clipped, so the critical information will be larger on the webpage. What should we make of the fact that these new generators and their faulty designs came from Japan, a country that recently had a major nuclear disaster, inappropriate responses to the disaster, and is now trying to shuttle their nuclear reactors? The lessons learned haven’t even been fully decided by the NRC. As the NRC comes up with lessons and decisions, they are applied to all plants in the US simultaneously, regardless of current licensing status. At the current moment, there are 3 main actions out to facilities by the NRC, and several other things which are going on, but not all of these have been formally approved by the NRC yet. Forcing a plant to stay offline until the NRC approves appropriate and acceptable responses and lessons learned really doesn’t add any value, especially when you take into account the initial NRC review that nuclear power plants in the US are safe and well protected from a similar type of event happening. OMG! comment is short on reality. Oh! So, let me get this straight. RU saying ALL malfunctions at a Nuclear Power Plant are going to extinguish all life on earth? Hello – I saw that movie where irradiated flesh eating ZOMBIES invade Las Vegas, it’s only a movie. But that’s not reality and actually wildlife advocates are now asking NPP’s to make area around Nuclear Power-Plants a wildlife sanctuary. I think PBS has a documentary film on wolves and other wildlife around confiscated exclusion zone at Chernobyl. Many fauna & flora species are thriving in area. In fact the Ukrainian Parliament approved tours for the area. I would try and keep an accurate perspective malfunctions don’t necessarily mean a release of radioactive poison. There is info on NPP plant monitoring. Non-NRC proprietary documents, such as the Root Cause Analysis, would have to come from the licensee directly. Wouldn’t “perfect shape” include applying lessons learned from Fukushima Dai’ichi? 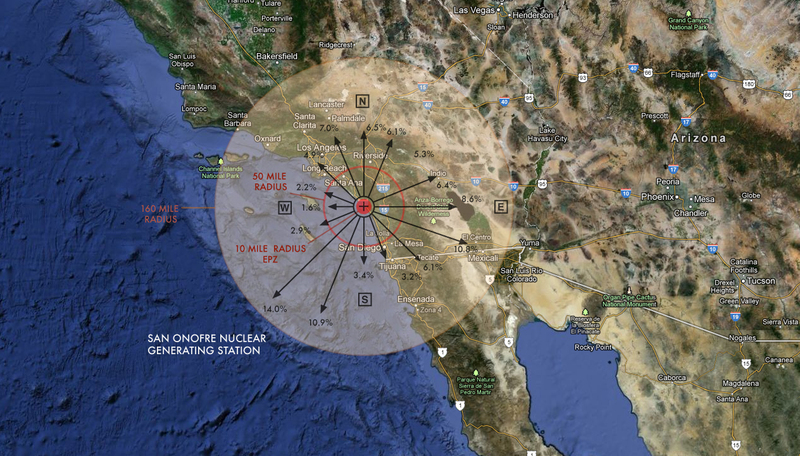 Even if the San Onofre reactors are not restarted the decades of high level radioactive waste crammed into over crowded cooling ponds are vulnerable to both tsunami and major earthquake. It stands to reason that, when you are dealing with such a massively complex system as a nuclear power plant, if there is faulty computer modeling and manufacturing issues in some places, there are other “issues” in other places. It is impossible that there are not thousands of malfunctions in such a gigantic undertaking. Also–malfunctions in a nuclear power plant are not the same as malfunctions in anything else. Because a malfunction in a nuclear power plant can mean the eternal irradiating of a large area, and the eventual death of thousands, hundreds of thousands, or more, people, not to mention wildlife. Please be very sure that this facility is in perfect shape before you start it up again. Thanks to NRC & this blog it did provide the info. I was looking for on SoCAL San Onofre NPP complex. I’m sure the contractor & NRC are working to resolve plant up-date issues. I noticed prominent links on front-page. This helps to dispel media rumor mill w/ perception of ‘…world will end in the next few seconds.’ type sensational reporting. I personally don’t understand the philosophy of accusing electric plant contractor or the NRC of negligence. Don’t plant employees and family and the odd NRC Representatives and family all live around the plant site who also work to ensure safe efficient NPP operations? Planet Earth moves and shakes everywhere that’s how the planet rolls. Nowhere on Earth is it without risk based on ‘force majeure’ acts-of-God. Nothing in life is 100% safe. It is safe to manage risks. I’ll stack the Nuclear Industry and the NRC record against the Hydrocarbon industry anytime per terrawatt hour energy generated since 1950’s. Nukes have a better record of providing better electrical service safely and clean power during peak baseloads. I’m pro-nuke and PRO-HUMAN. Thanks for your reply. Regarding Question 3, Please provide a link to the Root Cause Analysis provided to the NRC by Southern California Edison. Thanks. Joy – A ever growing number of people in SoCal are coming to the same conclusion! I hope you and others continue to ask great questions about this until they ARE closed! Bruce That would be a great start but remember SORE (San Onofre Reactor Emergency) also has the worst safety record of any reactors in the USA and there is a reason for that… Their Operator! Please refer to this site which is just one of many that strives to do what you were suggesting! RE: “anti-nuke lobby” Most of the people in SoCal are just regular folks that do not trust SCE any longer and see the Nuclear Industry in the USA doing exactly what TEPCO is doing in Japan, trying to put a happy face on a dangerous situation that could easily affect everyone living downwind from these reactors, all in the desire to generate Corporate profits. Ask yourself this, why should the NRC allow a Utility to still operate with not only the worst safety record of any US reactor but also highly modified reactors that have been modified without the necessary NRC reviews that is located on a known major Earth Quake fault zone? From the Moderator: Comments are posted as quickly as possible, usually within 24 hours (as in this case). All comments that meet our guidelines are all posted. Very few of the comments submitted do not meet our guidelines. 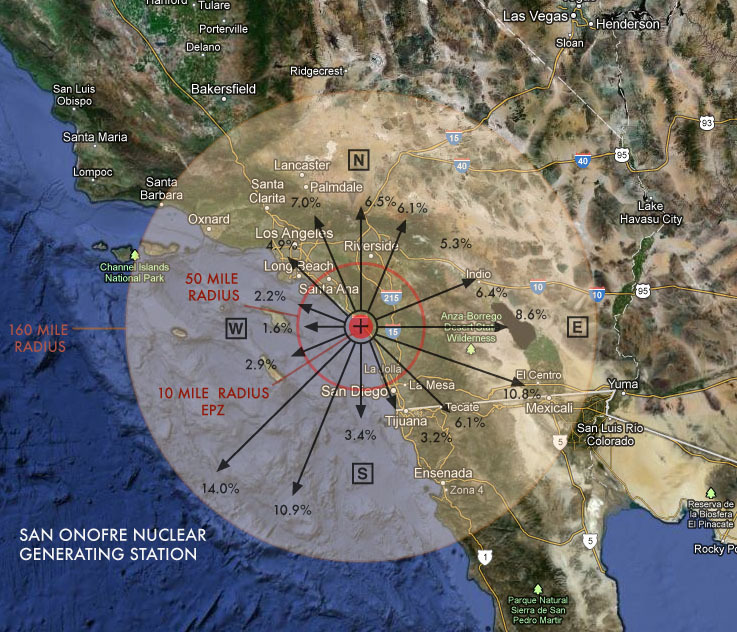 Meetings should be held in every City within the 50 mile Evacuation Zone of the SORE (San Onofre Reactor Emergency) since everyone living there could be affected! To hold a meeting in only one City prevents all those that would like the opportunity to express their concerns the right to do so! Until all those that have a chance to address the NRC, the NRC should not allow any restart schedule to be finalized because to do otherwise makes these meeting(s) nothing but a NRC PR dog and pony show… As a PR Professional, I’m sure you would not want a few NRC employees in Region IV speaking publicly for the NRC without receiving the OK from your office and or the Head of the NRC. I think the US-NRC needs to respond a bit more quickly and most of all, place under the San Onofre NPP complex description online a CLEAR accessible & reasonable account of maintenance issues and events and up-date the public daily till issue is safely closed. I understand there are anti-nuke lobby types trying to shutdown the industry-please. Just don’t give them more excuses. Deal with the issues fair w/ public. Most of public will appreciate effort. Generally public holds NRC in high regard. 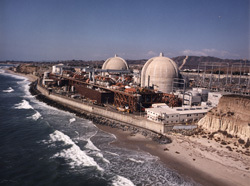 Why is it that San Onofre plants are allowed to continue to put at risk 8.4 million residents? San Onofre claiming the worse safety record of all US nuclear plants & 6 employee whistleblowers coming forward to warn of clear & apparent safety issues, it seems logical that these plants need to be closed permanently & their spent fuel contained. Does Free Speech exist at the NRC or must it also be moderated? BTW: Who is doing the moderation and what are their “marching orders”? Can anyone request a FOI request to “see” the comment not posted along with the reasoning that they were not posted? The following questions were asked numerous times, but I have yet to see direct answers. 2) Did Southern California Edison identify and communicate to the NRC the ROOT CAUSE of the San Onofre steam generator leak? 3) Did Southern California Edison provide to the NRC a Root Cause Analysis of the San Onofre steam generator leak? They lied through their teeth, exhibiting a culture of corruption. But we don’t need this plant anymore, it is like throwing good ratepayer dollars after bad. Shut it down. Send a strong message to all nuke operators who would try to jack up profits, by cutting corners and putting our lives at risk. San Onofre, not safe, not cost- effective, shut it down and start the decommissioning process now before the next accident happens. I believe that once California consumers and especially California property owners realize that they are NOT covered for any type of fallout, leakage or contamination caused by radioactivity, they will begin to reexamine their “trust” in nuclear because of their financial liability! Question: How many in Southern California (for example) could afford to just walk away from their homes if one of the reactors in California had a meltdown for any reason; without even considering the health implications later? The answer of course is NOT MANY! We have only to see what has happened in Japan to get a good idea; in short America cannot afford a Trillion Dollar Eco-Disaster any better than Japan. Remember most of the “rest” of America is downwind from the West Coast! (Japan has been “lucky” in that regard ,since most of its radioactivity has moved toward eastward North America and the rest of the planet; yet most of Northern Japan is now contaminated!) America’s heartland is downwind from SORE (San Onofre Reactor Emergency) and we cannot afford to have our farmland turned into a NO-Go Zone! We are now are being ruled by those in Nuclear Denial*; instead of by Leaders that demand an end to the Trillion Dollar Eco-Disast­er RISK that Nuclear reactors pose to mankind! How would the USA pay for a Fukushima-type “event” on US soil? Deal with a 50 mile NO GO ZONE surrounding one of our reactors? The nuclear industry is fighting tooth and nail to maintain it’s market share; yet NOW Solar (of all flavors) is far less costly to construct, faster to construct and carries with it N☢ Nuclear radioactiv­e baggage that can kill a Countries economy and or those living nearby! The NRC should require the Utility to decommission SORE, (San Onofre Reactor Emergency), fine them and make them refund the huge amount that the rate payers have been forced to pay for this illegal overhaul! The NRC has “bent” their own rules in order for SCE to sidestep being fined for not telling the NRC about the modifications they were making and getting the required permission BEFORE they were made… This is yet another reason that tax payers have to be worried about how the NRC protects the Nuclear Industry instead of focusing on nuclear safety. In short, if there is more that $12 Billion in damages, we are SOL! … Which is about a Trillion Dollar Eco-Disaster! … Social Security and or Medicare? … From both Congress and the Nuclear Industry! CALL your Leaders and ask them where ALL this money would from! Then ALL Americans can determine if Nuclear is worth the RISK! A Prediction That Proved Correct! I believe that the CURRENT PROBE into San Onofre will expose many more questionable tubes and also an ongoing coverup of safety related info that was concealed in order to sidestep NRC notifications. San Onofre has the worst safety record of all US reactors and it just makes sense that the Operator will be trying very hard to keep the lid on anything that draw attention to their reactor or it’s operation. The NRC gave the Nuclear Industry a “PASS” on the tube wear issue before on San Onofre and many of the other reactors around the Country. They are realizing that they have a much bigger problem than they first “imagined”­; metal erosion/weakness cannot be tolerated when the radioactiv­e leakage is not only high in temperatur­e and pressure but also high in amount of radiation! Fragile tubes and a BIG EARTH QUAKE could make a large number of those tubes all fail AT ONCE; which is what I think happened in Fukushima (and other Japanese reactors that have not been restarted there)!! Previous Previous post: What Happens When You Submit a Freedom of Information Act Request to the NRC? Next Next post: What gets “upped” in an uprate?